You’re convinced of the merits of Google My Business (GMB) and are ready to rock it – Excellent! Claiming your listing really is easy, we’ll tell you how. 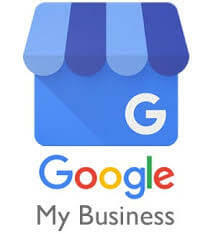 If you need to know a little more about how Google My Business (GMB) can benefit your business, check out our last blog post. There are two main ways to claim your business listing – you can claim ownership of a business on Google, or you can add your business. 4. If you don’t see the link appear then navigate to the GMB website and follow the steps to below in ‘Adding your Business’. 2. If you have a Google account, click ‘SIGN IN’, otherwise click ‘START NOW’. 3. Once you have successfully signed in, follow the prompts to add a new business. 4. You Google My Business listing will not be live until you have verified it. Usually you’ll receive a postcard with a verification code at the postal address you entered. You may get the option to verify via phone. That’s it! It should be very quick and painless but below are some tips and trick to help you with the listing process and beyond. Don’t make changes to your business name between asking for your verification code and receiving it. Double check your business name, address and category are correct before requesting your verification code. 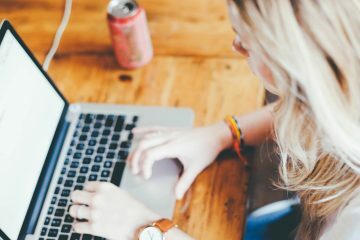 If you find your business online and you know you didn’t add it – don’t panic! Google sometimes adds businesses itself with information found online, so just check the details are correct, and update anything you need to when you claim it. To get the most out of your listing it’s important to optimise. Always use up to date information with the same format for phone numbers and addresses. Avoid using mobile phone numbers. Include opening hours and make all your info consistent with your website if you have one. Use high quality images that show your business off – this can work wonders in making you more attractive to potential customers. Make sure your business description is – descriptive! Explain what you do fully and give as much information as possible so people know what services and goods are on offer. Don’t assume it’s self-explanatory – spell it out! Ask your customers to leave reviews and add posts with great images to your listing on a regular basis. This helps your business look dynamic and fresh, and great reviews are worth their weight in gold when it comes to attracting more customers to you. Once you’ve finished your listing and optimisations you can use the ‘insights; function to see how your listing is performing. This will give you vital info to help you make your listing as effective as possible. If you want personalised information on how you can use GMB or other SEO tools to grow your business impact get in touch – we offer free SEO reviews!